PORCINI: Small Town, Big Flavors…. would open up a restaurant together. They didn’t wait very long. Posted on July 31, 2017 July 28, 2017 Categories Agent Chatterbox, Portfolio MagazineTags Atlantic Highlands, Middletown, Monmouth Beach, Monmouth County, Red Bank, Resources Real Estate, RumsonLeave a comment on PORCINI: Small Town, Big Flavors…. Hot off the Presses! Resources Real Estate’s Summer 2017 Portfolio Lifestyle Magazine! Summertime at the shore… it’s a good thing. A time for fun & games, beach picnics & barbecues, and sun & sand. We all feel fortunate to live here in Monmouth County — especially at this time of year — and although it’s easy to get distracted, here at Resources Real Estate we continue to focus on our role as purveyors of this wonderful lifestyle, not simply as agents selling houses. 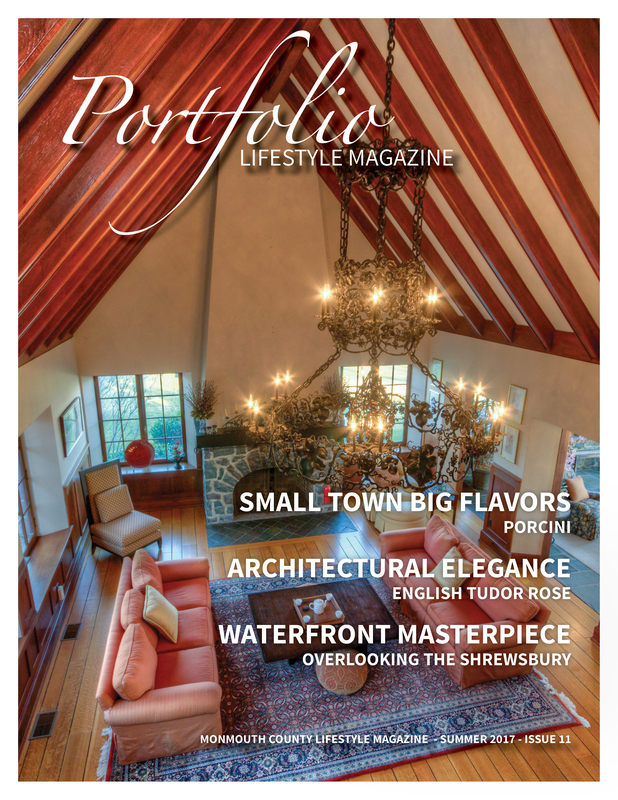 Every day we are reminded of how wonderful central New Jersey and Monmouth County really is and we are proud to once again share these insights in this issue of Portfolio. From the renaissance occurring in Highlands we find Porcini, a wonderful eatery run by a young, vibrant couple who are making their mark in local culinary circles and drawing foodies from throughout the area to their bistro. Long Branch makes an appearance on this issue’s Short List with some of our faves from this town which is also witnessing a tremendous resurgence. Just in case you’ve got cabin fever, we’ve provided some truly spectacular luxury offerings from one of our global luxury partners in Barcelona, Spain. Fair warning: you may want to brush up on your high school Spanish and make sure your passport is up to date before looking! Of course, luxury can be found much closer to home and we hope you enjoy some of the local offerings including a spectacular waterfront estate with history, class, space, views and exceptional quality. We encourage you all to explore the beauty and delights of Monmouth County this summer whether you live here or are just here for a visit (or to buy a house!) And if you’re so inclined, perhaps you’d consider joining our team! Our efforts have resulted in our having been recognized by Inc. Magazine as one of the fastest-growing private companies in America — we were named to the 2016 Inc. 5000 list — as well as honored by Who’s Who in Luxury Real Estate for Best Overall Marketing for the year. 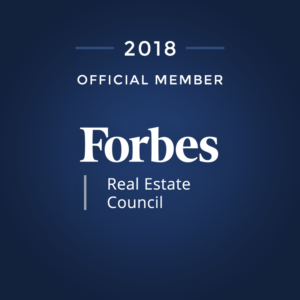 This year has already brought us accolades including our induction to the prestigious Board of Regents of Luxury Real Estate, an elite gathering of luxury brokers worldwide. Happy Summer! Posted on July 11, 2017 Categories Agent Chatterbox, Portfolio MagazineLeave a comment on Hot off the Presses! Resources Real Estate’s Summer 2017 Portfolio Lifestyle Magazine! Wonderful opportunity to own a Rumson Estate! Nestled at the end of a cul-de-sac with sprawling grounds, this location in one of the most sought after neighborhoods in Rumson. Existing home has over 7000 square Feet of living space plus an outside entertaining area with a gracious porch and heated pool. Open kitchen family room floorplan. High ceilings, 4 fireplaces, large master bedroom suite and maids quarters make this property worth the investment! 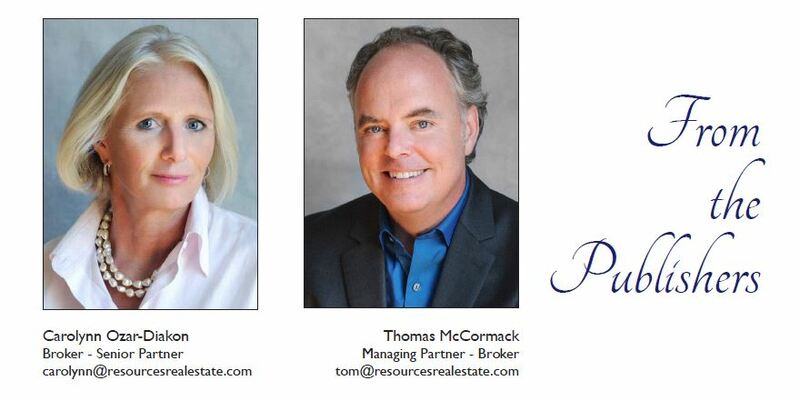 Call 732-212-0440, stop into one of our four offices, Rumson, Red Bank, Atlantic Highlands, and Monmouth Beach, or go to www.resourcesrealestate.com to find out MORE about this and other GREAT Properties from Resources Real Estate! 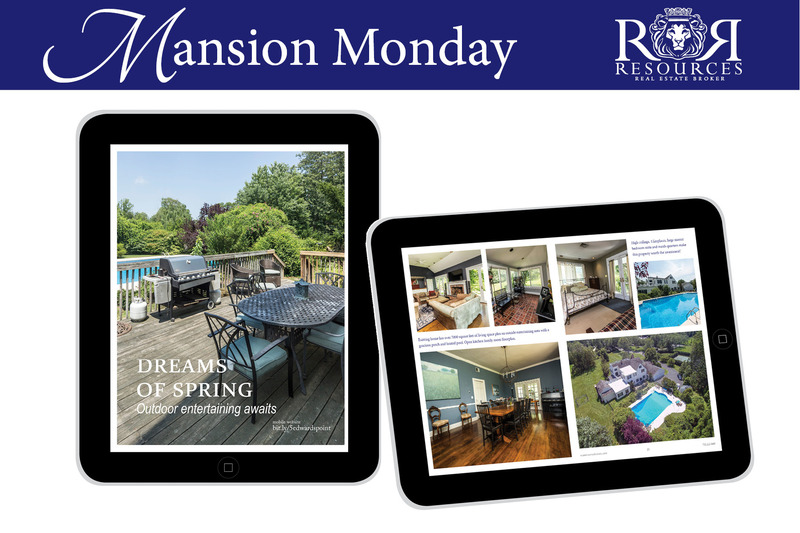 Posted on February 7, 2017 February 13, 2017 Categories Mansion Monday, Portfolio MagazineLeave a comment on Wonderful opportunity to own a Rumson Estate! 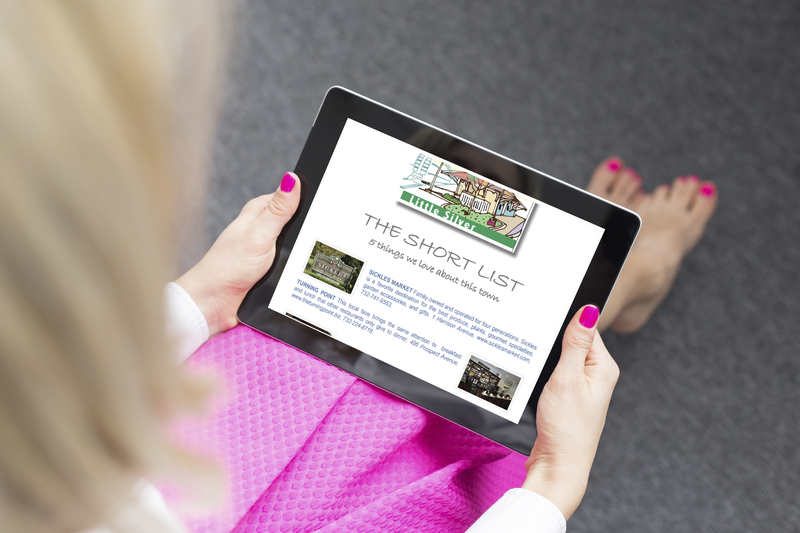 Check out the Resources Real Estate Portfolio Lifestyle Magazine Short List! Posted on January 31, 2017 January 31, 2017 Categories Portfolio MagazineLeave a comment on Check out the Resources Real Estate Portfolio Lifestyle Magazine Short List! Have You Tried Booskerdoo Coffee? It’s so Much More Than a Cup of Joe! Read the full article in the Winter 2017 Portfolio Lifestyle Magazine! Posted on January 16, 2017 Categories Market Report, Portfolio MagazineLeave a comment on Have You Tried Booskerdoo Coffee? Have You Seen the Winter 2017 Portfolio Magazine Yet? 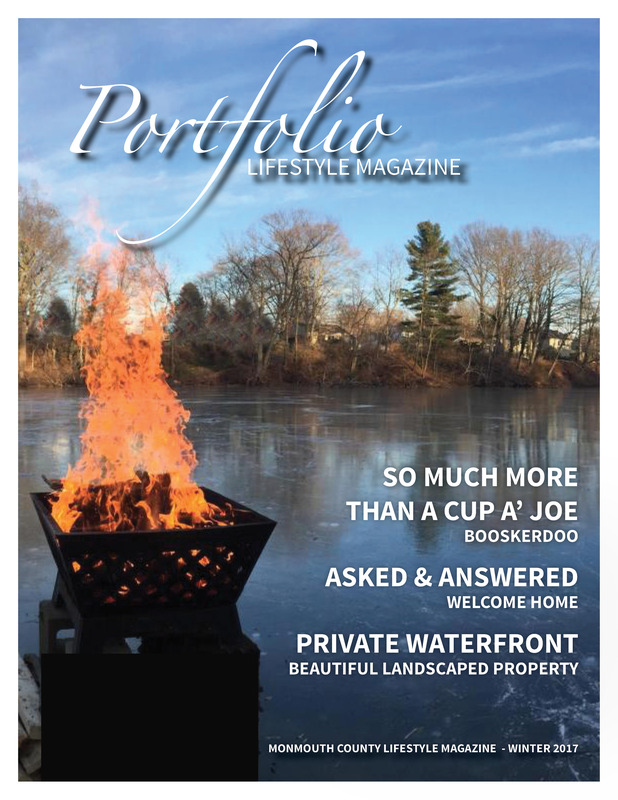 January 3rd, 2017 — Resources Real Estate announced the publication of the Winter 2017 issue of Portfolio, its lifestyle magazine. The Winter 2017 issue features splendid Monmouth county homes in Atlantic Highlands, Fair Haven, Highlands, Holmdel, Little Silver, Middletown, Monmouth Beach, Red Bank, Rumson, and Shrewsbury, as well as investment properties, first-time home buyer opportunities, and must-see commercial properties. Readers will be invited into the historical 1920 farmhouse of Anthony and Ulana Joslin, located in the Locust section of Middletown. The Joslin’s designed a historically-inspired addition, seamlessly integrated into the original farmhouse, and resulting in approximately 6,050 square feet of creatively integrated living space, on 2.9 picturesque acres in Monmouth County. Coffee aficionados will rejoice in the feature about Booskerdoo, a certified organic roasting coffee company that roasts its freshly ground beans in-store and offers delectable desserts in their six café and bakery locations in Monmouth County. Landscaping enthusiasts will enjoy ‘Private Waterfront,’ a piece showcasing a magnificent 7000+ square foot Rumson estate nestled on 1.85 private acres with a 70′ deep water dock, heated Gunite pool, slide, waterfall, spa and a separate 1200 square foot guest house. This Issue’s ‘Asked & Answered‘ introduces Red Bank’s Welcome Home, a charming lifestyle store featuring home wares, gifts, fashion, jewelry and accessories. ‘Dream of Spring‘ is indeed a dream come true for lovers of entertaining guests, presenting a spectacular Rumson estate that includes an outside entertaining area with porch and heated pool, in addition to over 7,000 square foot of living space, 4 fire places and an open kitchen family room floorplan. 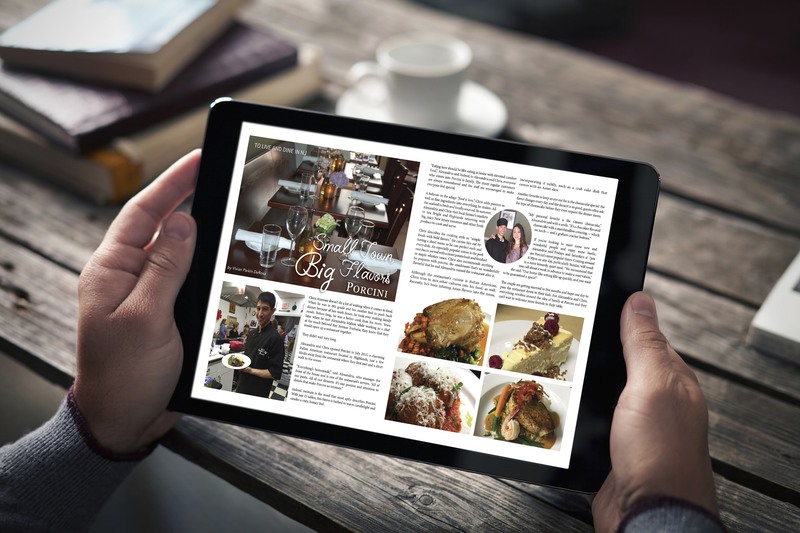 This issue’s Short List focuses on Little Silver, a prosperous and vibrant community in eastern Monmouth County. It highlights the fresh produce and gourmet specialty market, a restaurant favored by the locals, the town’s historic train station, a national historic site dedicated to increasing appreciation of local heritage, and the annual Little Silver Easter egg hunt. And lastly, the international properties in the winter issue come from Resources’ luxury real estate global partners, this time focusing on Antilles and featuring two breathtaking ocean view villas and one striking beachfront condo, all in glorious St. Maarten. The Winter 2017 issue is now available and can be viewed at the following link http://www.resourcesrealestate.com/portfolio.html. 36 Beach Rd. in Monmouth Beach, NJ, 112 River Rd. in Rumson, NJ, 4A W. Front St. in Red Bank, NJ, and 65 First Ave. in Atlantic Highlands, NJ. 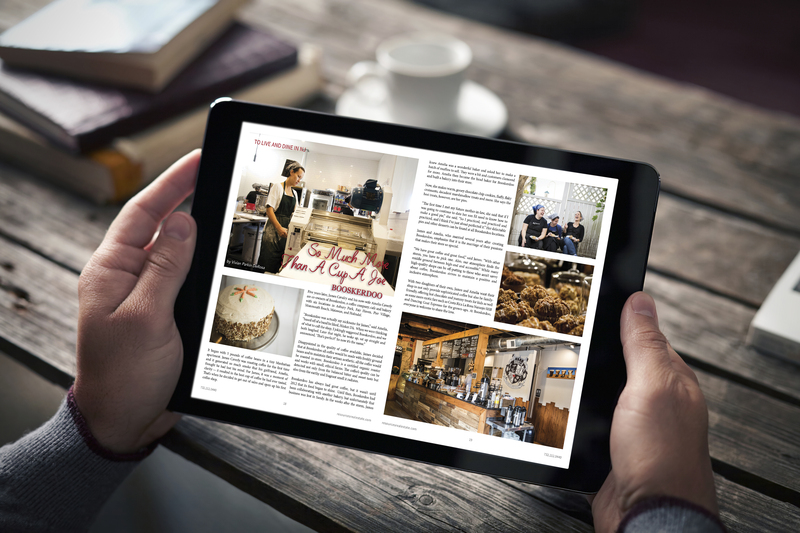 Posted on January 13, 2017 Categories Market Report, Portfolio Magazine, Press RoomLeave a comment on Have You Seen the Winter 2017 Portfolio Magazine Yet? You’ll LOVE This Locust Point Farmhouse! Located on one of the prettiest streets in Middletown. Welcome to historic Locust. This seashore dutch colonial has 6,000 square feett of ample living space. 4,000 sq ft added in 2005. Mahogany front porch spans the entire length of the home offering beautiful outdoor living space. Enter into a two story marble checkerboard foyer. Banquet sized dining room, music room and sitting room. Newer very large kitchen offers custom cabinetry, marble and granite countertops,center island is perfect for entertaining. Opens up to vaulted Great Room with custom fireplace, 6 bedrooms upstairs. Master suite is extra private and has two walk-in closets and balcony overlooking 3 flat usable acres (horses!) View overlooks horse farms for miles. Property offers 1,500 square foot barn/structure. Living at its finest. Posted on January 9, 2017 Categories Mansion Monday, Portfolio MagazineTags Luxury Real Estate, Mansion, Monmouth CountyLeave a comment on You’ll LOVE This Locust Point Farmhouse! Enjoy magnificent and wide ocean views immediately when stepping into this villa with direct views of the island of St.Barth. Chef’s kitchen from Siematic (high end German Quality) with large pantry, a large dining room, dramatic open great room with high ceilings complemented by outdoor entertaining deck and pool deck and a separate caretaker’s apartment. Located in a gated community and only a 2 minute drive from three different beaches: Dawn Beach, Red Pond Bay and Guana Bay, some of the most beautiful white sandy beaches on St. Maarten. 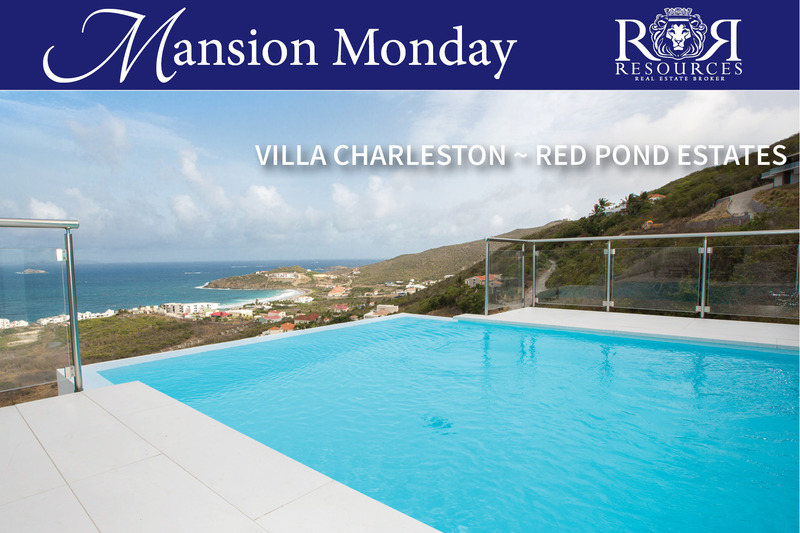 Privately located with unobstructed views, yet only a 5 minute drive to excellent restaurants by the beautiful marina of Oyster Pond and only a 15 minute drive from our gourmet capital of St. Martin, Grand Case. Villa is newly constructed (2016) and can easily be considered the most beautiful contemporary villa on the East Side of St. Maarten. Perfectly designed for family living and luxury vacation rentals. 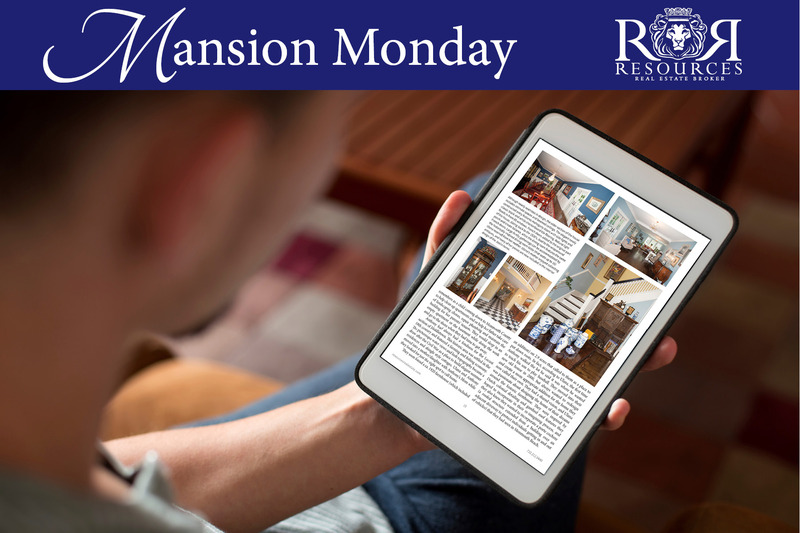 Posted on January 2, 2017 December 30, 2016 Categories Mansion Monday, Portfolio MagazineTags Monmouth County, Resources Real Estate, RumsonLeave a comment on Mansion Monday!